We're excited to work with the community to create a space for everyone to enjoy at Albert Park. 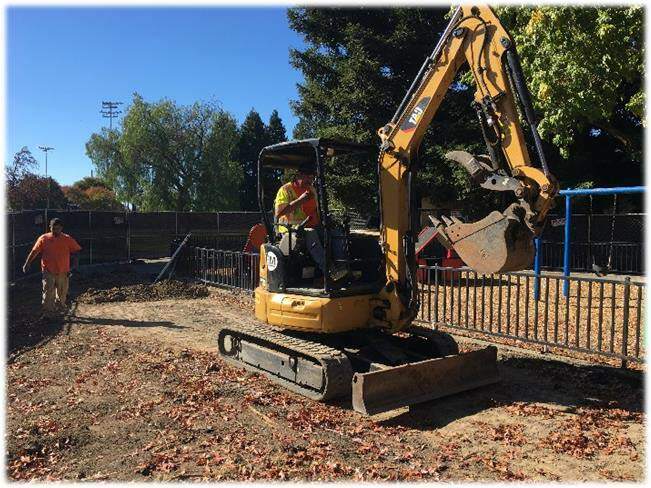 The City’s contractor M3 Integrated Services has been working on clearing the future playground area. The contractor has begun demolition of the existing asphalt pathways and light standards. 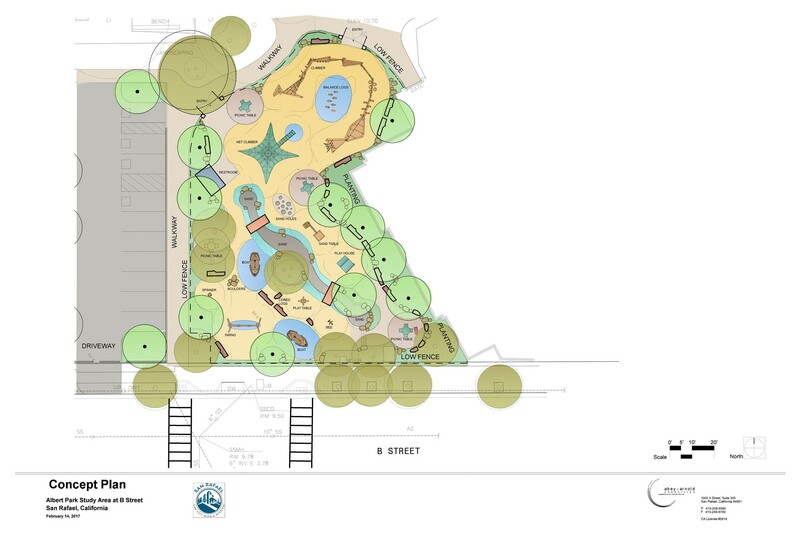 They are on schedule for a park dedication early next year. In 2015 the San Rafael Park and Recreation Commission held nine months of outreach meetings asking residents to identify their priorities for neighborhood parks. 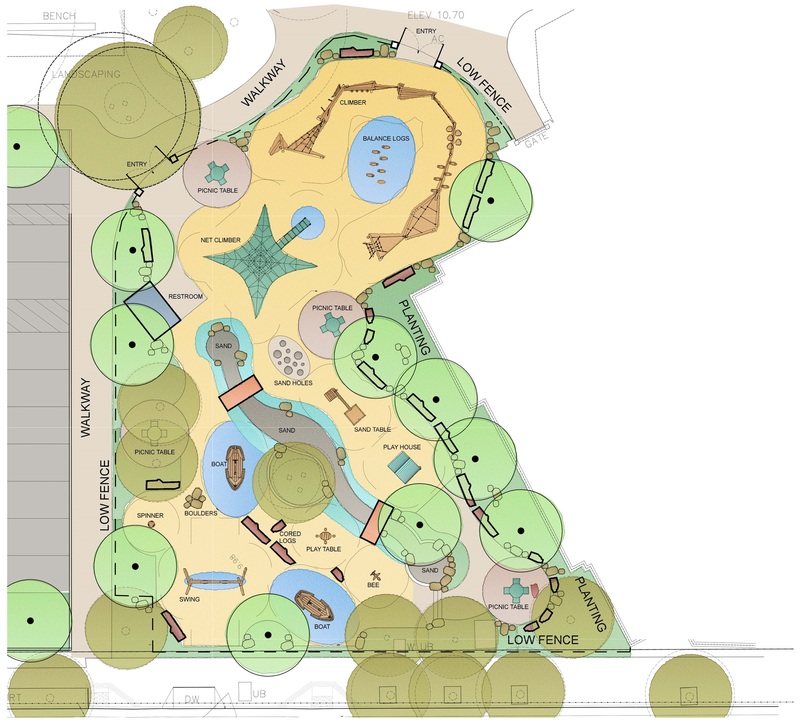 More than 60 suggestions were made for Albert Park, but the highest priority was recognized as the need for the replacement of equipment for the small children’s play area. The City Council approved $50,000 to be allocated from San Rafael’s portion of Measure A funds, which was a ¼ cent sales tax increase to support parks and open space county wide and approved by Marin voters in November 2012. In the spring of 2016, a group of local residents, which is now called the B Team, organized to lead awareness and improvements to public spaces along B Street in Central San Rafael. One of the goals for the B Team is to increase the amenities in Albert Park to attract more neighborhood users. The B Team pitched the idea to the Commission and to the City Council and won approval and additional funding for the expansion of the planned play area project. The B Team is partnering with the City to communicate with residents about the project and the process to determine what will be built. They are also leaders in fundraising to supplement City financial support for the play area and amenities. The City contracted Abey/Arnold Associates, Landscape Architects to conduct public meetings and develop design concepts for the Albert Park Improvement Project. The project area is between the Community Center and the Marin Bocce courts.